Sir Robert Salisbury, Chairman of the Independent Review of the Common Funding Scheme for Northern Ireland schools has published his report which will be presented to the Stormont Education Committee this week. Sir Robert Salisbury’s problem is that his reliance upon the PISA data has been challenged. 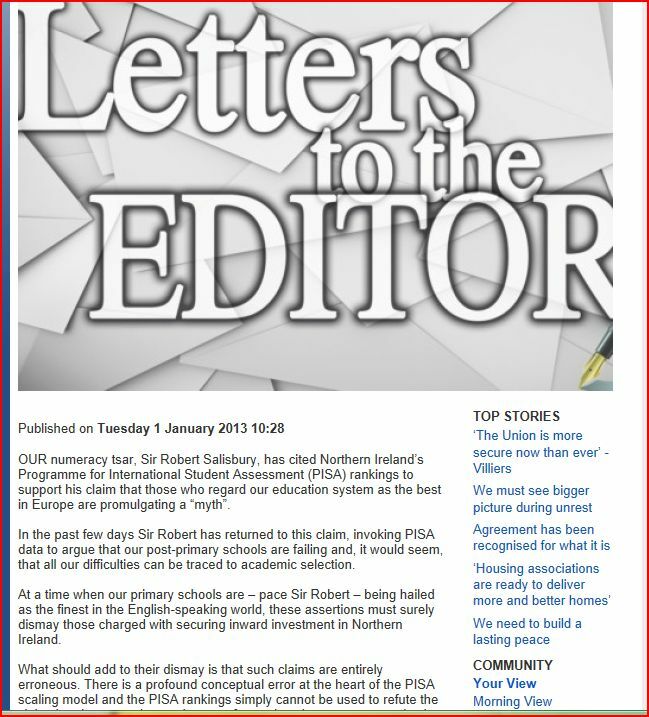 It has been stated in a published newspaper, The Belfast Newsletter, http://www.newsletter.co.uk/community/your-view/schools-data-doesn-t-add-up-to-failure-claims-1-4632750that PISA suffers from a mathematical conceptual error. To date neither the Education Minister, John O’Dowd nor his appointee have addressed the question. It remains for members of the Education Committee to hold Sir Robert to account. Watch with interest on Wednesday 30th January to see if the question is asked and answered. If a better example of how the Northern Ireland Executive and Assembly (108 MLAs) have failed to represent the interests of parents and pupils on education matters it would be hard to find. The media have poured torrents of ink and pixels over concerns about cheating by exam boards. 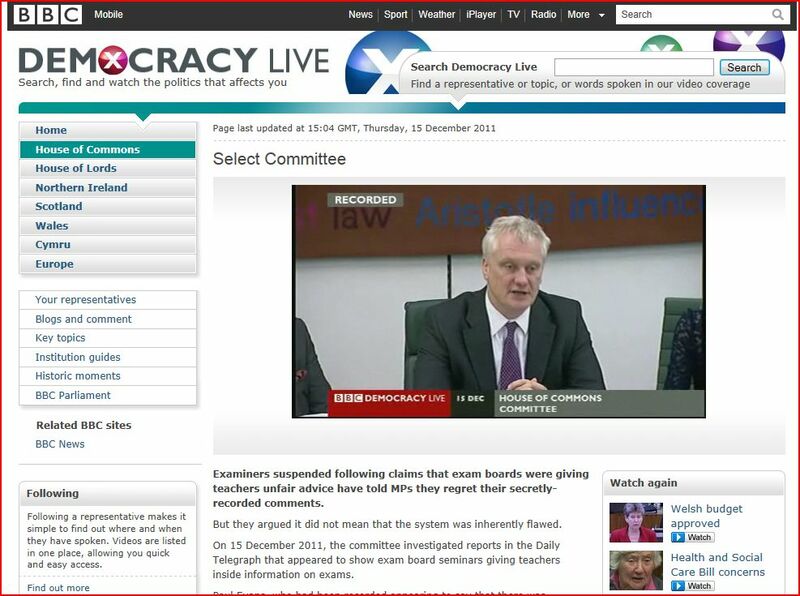 This week the UK Parliament Education Committee met in Select Committee to hear evidence on the matter. One group was missing. Yes – you have probably guessed it by now. None other than CCEA, the Northern Ireland Council for Curriculum, Examinations and Assessment. CCEA were the exams body caught up in examination errors and a spending scandal in the summer. It seems they are beyond accountability. Parents and pupils are paying for this and accepting second-class service. Your MLA is doing nothing to represent your interests. Think carefully about what this will mean for your children and their CCEA certificates when they wave them in front of a university or employer. 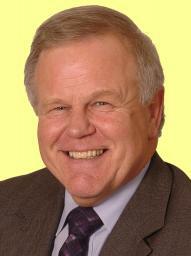 on Wednesday 2 March 2011 Trevor Lunn MLA of the Alliance Party makes clear to listeners that he has no understanding of the role of public representatives, i.e. to represent the public interest. In what amounts to a thinly veiled slur on a member of the public Mr Lunn bemoans the work carried out by a concerned parent while asking for help from his political opponents in understanding what he should do. It seems that the Office of the Information Commissioner have written to the DENI regarding concerns over data security but Mr Lunn doesn’t seem to understand the significance of this action. Indeed he can be heard bemoaning the volume of correspondence that he is required to read and digest. Perhaps the Chairman should have suggested resignation as the most effective action Mr Lunn might undertake. He certainly does not grasp the significant concern of parents and the ICO over the responsibility to manage data collected on children.